Please click here to see the edition of BuilderBytes for 7/31/15 on the Web. 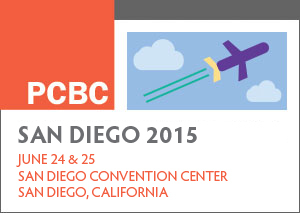 During this year’s PCBC in San Diego, I was fortunate enough to moderate a panel of experts on the elusive first-time home buyer. The purpose of the panel was to discuss the challenges in building, selling and financing starter homes for the often Millennial buyer and what we in the industry are doing to adapt to this important cohort. Importantly, although the percentage of first-time home buyers has recently risen by a few percentage points from where it was a year ago, for most builders of new homes it’s a different story. 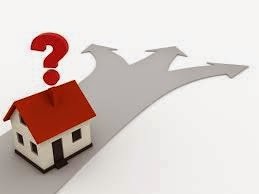 Whereas the share of new home sales versus the overall market has traditionally ranged from 15 to 20 percent, today it’s about half that, and unless that capture rate rebounds closer to historical norms, new home starts will remain subdued. Moreover, given that 2.5 to 3.0 times today’s national median household income would allow a sale price of about $140,000 to $160,000, it’s easy to see why building that starter home has become so problematic. On the product side, certainly the biggest problem to be resolved is managing the cost in terms of land, entitlements, labor, supplies and carrying costs, but many of those expenses are not in the builder’s control, which makes building entry-level homes even riskier. City planning departments, which might have envisioned acres of single-family homes on generous-sized lots a decade or two ago in their mandated housing elements, are often inflexible and slow to adapt to the changing marketplace, and yet accept no responsibility for their negative impact on the potential housing supply. 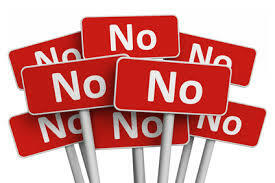 Moreover, while building higher-density PUDs or condominiums can be a great theoretical solution, the toxic mix of paranoid neighborhood NIMBYs, opportunistic construction defect attorneys and buyers’ dislike of HOA fees – coupled with a fundamental misunderstanding of their benefits – often make such projects easier to build as apartments. Still, there are some builders who have dipped their toes into this market with great success. D.R. Horton’s Express Homes division was launched in the spring of 2014 and, along with their Regent Homes division (which is oriented towards a similar buyer), accounted for five percent of sales that first year. By the second quarter of 2015, the capture rate of these entry-level homes versus the entire company had more than tripled to 18 percent (although given the average closing price of $179,000, the revenue capture rate was just eight percent). Nonetheless, even with lower margins and a faster production schedule, the economies of scale enjoyed by a builder of Horton’s size can not only make such projects profitable, but introduce the builder’s name to a family who might be upgrading to their larger floor plans in the future. 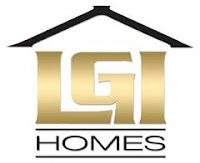 LGI Homes, another Texas-based builder which began operations in 2003 and has sold over 9,000 homes, has oriented its entire business strategy towards the entry-level home buyer in nine different states. This strategy seems to be working, with the company announcing an all-time record for monthly closings in June 2015, and also reporting that sales in the first half of the year were up one-third over 2014 levels. So what is the secret to LGI’s success? They stick to their knitting by relentlessly focusing on existing renters in apartments or single-family homes who don’t know they can afford a new home. This starts on their company Web site, in which plans at specific communities don’t list a sales price. Instead, they list what the monthly P&I payment would be based on an FHA loan with 3.5 percent down at current interest rates. They then translate this same information into printed flyers that they mail out to renters within 30 miles of each project, and make sure they’re ready to greet potential buyers with sales offices that are open 12 hours each day, seven days a week. It’s in these sales offices that most of the hand-holding begins, starting with free credit counseling for potential buyers who thought they were permanently priced out of the housing market. LGI also builds in areas on the urban periphery which is technically considered rural by the USDA, which then makes some buyers eligible for their no money down mortgage programs. For final peace of mind, LGI warranties its homes for 10 years and includes full kitchen appliance packages, fencing and landscaping. Finally, LGI also has a robust Web site which is comprehensive and easy to navigate. In a world in which a poorly constructed Web site is a company’s perceived digital strategy, you can’t blame the Millennials if and when they opt to look elsewhere. Please click here to see the edition of BuilderBytes for 7/24/15 on the Web. Please click here to see the edition of BuilderBytes for 7/23/15 on the Web. Please click here to see the edition of BuilderBytes for 7/16/15 on the Web. Please click here to see the edition of BuilderBytes for 7/14/15 on the Web. My column for the July 2015 issue of Builder and Developer magazine is now posted online. For this issue, entitled "The Housing Market Continues to Gain Strength," I covered recent updates for both the overall U.S. economy as well as the housing market. To read the entire July 2015 issue in digital format, click here. Please click here to see the edition of BuilderBytes for 7/10/15 on the Web. Please click here to see the edition of BuilderBytes for 7/9/15 on the Web. Please click here to see the edition of BuilderBytes for 7/7/15 on the Web. 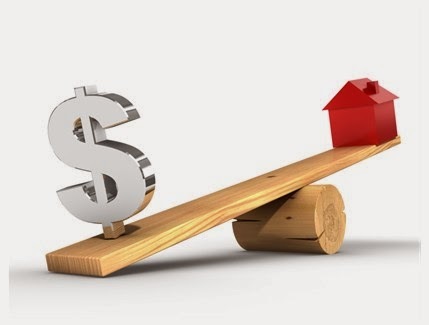 These days, with so many different economic data points to analyze and numerous global externalities commanding attention, it can be difficult to ascertain both the health of the national economy as well as the trajectory of the housing market. In summary, however, most signs point to a market which continues to gain strength, and in some ways is actually better than it may look at first glance. For example, let’s look at U.S. GDP. Although the disappointing first quarter of 2015 initially showed U.S. GDP contracting by 0.7 percent, in the third and final estimate – which includes more accurate information from various reporting agencies – the contraction was closer to 0.2 percent. 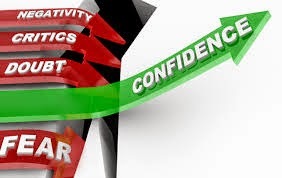 And, while negative GDP growth is certainly not a worthy goal, over the last several years economic growth in the first quarter of the calendar year has consistently under-performed due to a variety of factors including extreme winter weather, port strikes and consumers nursing post-holiday financial hangovers. Even better, it’s not like U.S. consumers are showing concern over this temporary swoon, and during the first half of this year have actually shown the largest and most sustained increase in economic optimism in over a decade. Even more encouraging to note is that this optimism is shared by the top, middle and bottom third of all incomes. Consequently, look for consumer spending – which powers about 70 percent of the U.S. economy – to grow about three percent this year. Builders are also regaining their confidence, with the NAHB/Wells Fargo Housing Market Index rebounding to 59 in June – the highest reading in nine months. For those indices specifically measuring current and future sales expectations, you’d have to go back to the last quarter of 2005 to find similarly optimistic responses, which means that builders are certainly looking for their businesses to improve in the months ahead. 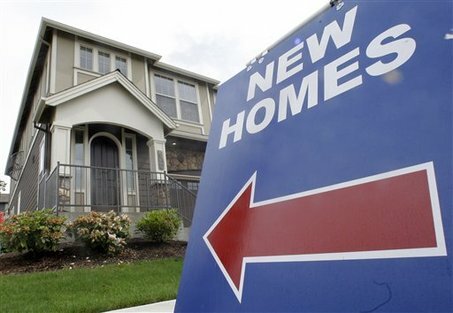 Sales of new single-family homes, which have continued to ebb and flow in recent years, reached a seasonally adjusted annual rate of 546,000 units in June, which was nearly 20 percent higher than the same month of 2014 and leaves a supply timeline of just 4.5 months at current sales rates. Although this rate of sales is certainly far less than the nearly 1.4 million new homes per year sold during the last peak in mid-2005, it’s more than double the trough of 270,000 units noted in early 2011. At the same time, sales of existing homes have been even stronger, rising in May to their highest pace in nearly six years, and rising year-over-year for eight straight months to post a 9.2 percent increase over May of 2014. It also seems that first-time buyers are re-entering the market, accounting for 32 percent of sales in May versus 27 percent a year earlier. If there is a concern here, it would be that the current pace of new home sales is about half of what it was during the last peak, and given the huge multiplier effect that new home construction has on local economies, regaining some or all of that historical share of 15 to 20 percent is critical. Yet improvement is already underway: After shedding more than two million jobs during the recession and its aftermath, construction companies have regained about a half-million positions in the last two years alone. Peering ahead, builders pulled 1,275,000 building permits in May, which is not only 11.8 percent above April’s total, but over 25 percent higher than during May of 2014. Of this total, just 683,000 units were for single-family homes, which suggests that the popularity of the multi-family market still has plenty of demand behind it. At the same time, housing starts sputtered in May, falling by about 11 percent from the previous month to 1,036,000 units (of which 680,000 were single-family homes) but still about five percent higher than May of 2014. Finally, there is also the issue of low inflation, which is a primary reason why the Federal Reserve continues to keep interest rates at historic lows. Through the 12-month period ending in May 2015, the Consumer Price Index was flat, and the Producer Price Index fell by over one percent for the fourth straight month. 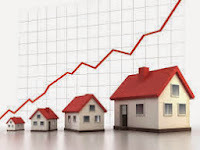 However, given that various indices show housing prices continuing to rise at annual rates ranging from five to eight percent, this disconnect between increasing housing prices versus low inflation and flat wages is unlikely to last. Still, because new home construction remains relatively subdued while household formations rise, demand should continue to improve even with moderately higher interest rates and inflation. Please click here to see the edition of BuilderBytes for 7/2/15 on the Web.